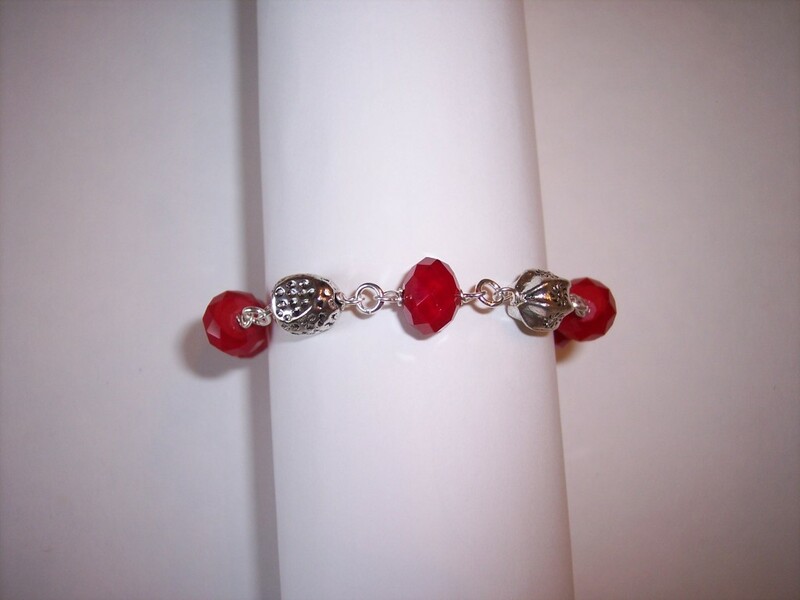 Tied Wire style bracelet handcrafted with ruby jade and etched pewter balls. Length: 7 3/4 inches. Other available upon request.